Available to practitioners any time day or night. Suitable for residential situations, after-hours care, emergencies, crisis work. Exess is always on call for your staff. We have never had any unplanned outages in our entire history so Exess can be trusted to be available for you when you need it. Exess can be easily accessed and used on your iPad, iPhone, or Android device. Work from anywhere, anytime. Exess is ideal for Foster Care or other residential envinronments where photos or other documents are often needed on the go. Don’t waste time in a critical incident driving back to a locked office on the weekend, pull up the information you require any time from your mobile device. "The Exess team have been a fabulous support to the agency as we grappled with the need to improve our ability to manage our data with good clinical practise. Their patience, understanding and accessibility has been outstanding. I am very happy with the Exess database and what is has managed to help us to achieve. Even my most technophobic staff have learned to love it." 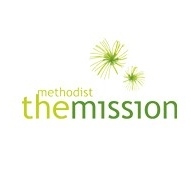 "Methodist Mission Southern have been Exess users since May 2010. Exess is now a critical part of our organisation’s client information and case management toolset and has over the last two years, become invaluable in evidencing and informing our practice using their CDOI module. The Exess team are friendly, knowledgeable, very approachable, and have gone the extra mile to ensure that our requirements are met." "Thanks to the Exess database system, our Organisation now has a more robust and transparent reporting tool which also means less time spent on monitoring and recording and more time hands on with clients. Reporting to Funders is more efficient as Contract Outcomes and other information can be captured on Exess to suit our requirements. This is supported by Funders expectations being met, continuation of Contracts and offering of new Contracts.The support team is quick and efficient and the ability of Exess staff to respond to our personal organisational needs is to be commended." 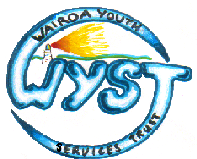 "Prior to Birthright Hawke's Bay Child & Family Care implementing the use of Exess, we relied on hard-copy files. This was cumbersome, inefficient and meant monitoring of professional standards and practices was challenging. It also meant that the accurate and timely reporting of outcomes was a struggle.Our relationship with Exess is excellent which has enabled us to have a great deal of input into development. Exess continues to involve users in this on-going development process – communication and back-up support is excellent.Utilising Exess now means our Organisation has outstanding results from a range of perspectives, including, client recording and planning, reporting statistics and client outcomes, managing and monitoring professional ‘best practice’ and supporting staff safety.Birthright Hawke's Bay Child & Family Care would not hesitate to recommend Exess, this is a unique and effective social service client database." "As a self acclaimed computer nerd who has a history of working with computers and programmes, I find this system to be efficient and user friendly. 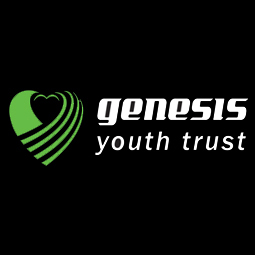 I love the fact that Exess is on an external server and readily accessible from any computer with internet access.The support from Mark and Michelle has been great, and we’ve been able to make changes to suit our specific needs as an organisation."